Flat as a pancake, but a whole lot more interesting, the Netherlands is a small country, with a very distinct character. Heavily urbanized and densely populated, the Netherlands offers a variety of places to visit, crammed into a small geographic area. The countryside, lying largely below sea level, is gridded with canals and vital drainage ditches. Visit in the spring and summer and you will be greeted with a riot of color in the bulb fields. The country is scattered with towns and villages, each with their own identity and accent, while the west and north coastlines boasts wide stretches of beautiful sandy beaches. Travelling by car is a versatile way of exploring the Netherlands. There are so many different experiences to be found in towns and villages, along the beaches, and deep in the countryside, which are much easier to reach by car. 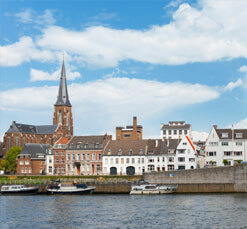 For cheap car hire in the Netherlands, take a look at Thrifty Car Rental. We have been providing travelers with vehicles for over fifty years, and can be found at all the major travel hubs throughout Europe. 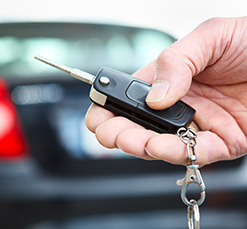 Thanks to our simple pricing structure, and our focus on delivering simple, comfortable, reliable cars, we can offer great value hire cars everyday. Depending on availability we sometimes offer discounted rates in some locations between set dates. 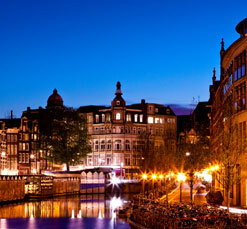 A trip to the Netherlands can be as cheap or expensive as your budget allows. Amsterdam and Rotterdam have plenty of luxury boutique hotels available or for a Thrifty Amsterdam family break, take your tent and stay in one of the many well-appointed campsites. Don't restrict your visit to the country's most famous city, as there's so much more to see. Of course the Anne Frank Huis and Rijksmuseum are essential items on any itinerary, but there's a lot to see beyond Amsterdam. 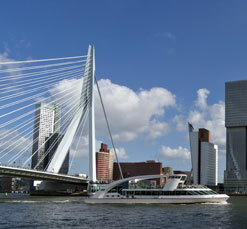 The Hague, a laidback city, is the home of the Dutch government and boasts a wealth of interesting museums. Delft, in the west of the country has some fine examples of medieval architecture. The Frisian Islands in the north are well equipped for tourists as they are a favorite holiday destination for Dutch families. Every corner of the Netherlands offers a new adventure. Get the most from your stay by planning a multi-centre holiday, and travelling by car to allow for spontaneous trips and diversions.